I finally got around to watching the eponymous 2010 documentary on the original street style photographer Bill Cunningham of the New York Times. Truth be told, I binge-watched all of the more recent, more meritable fashion documentaries available on Netflix (“The Eye Has To Travel,” “Advanced Style,” “Ultrasuede: In Search of Halson”), but the one on Bill (I call him Bill now because I know him) was the one I most enjoyed, and was perhaps the most germane to a vintage menswear blog. 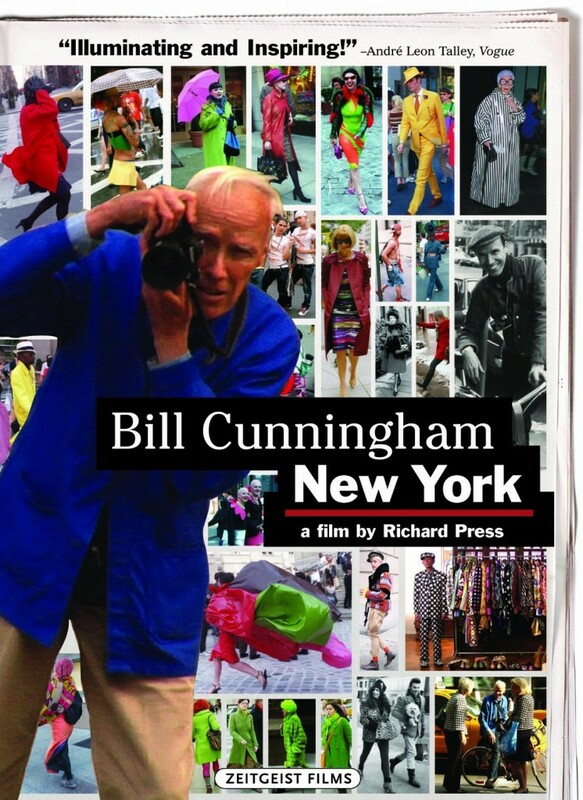 “Bill Cunningham New York” documents how eighty-some-year old Cunningham tirelessly continues to bicycle around The City That Never Sleeps photographing the everyday style of New Yorkers on the street by day and the style of New York society people by night. When he sleeps himself the film does not say; he seems to live for work. Indeed what was most inspiring to me–and what makes the film transcend a fashion documentary–is Bill’s complete devotion to his art and the personal philosophies surrounding his work, especially how he manages to stay separate from the privileged world of many of his subjects, and eschews financial gain for artistic integrity. “If you don’t take any money, they can’t tell you what to do,” he observes, plainly and cheerfully as ever. Bill is a documentarian himself. He documents what fashion is without dividing it into good or bad, and celebrates what’s beautiful beyond what’s widely celebrated. Coming so late, this post isn’t much for breaking news or weighty criticism, but just a recommendation that the Bill Cunningham doc is well worth seeing if like me, you still hadn’t. And that it’s plenty relevant for vintage enthusiasts and current fashionistas alike! Sure, Bill’s NYT column features mostly women (as all of fashion does), but he certainly covers plenty of men’s street style too, and he is himself a man in the fashion world (with a certain style of his own, I should say). Like vintage, street style is more concerned with what’s on ordinary people and how its worn than grand prescriptions from the fashion runways. With four or five decades of street style photographs and counting, Cunningham’s work is quite a vintage resource and becoming more of one every day.